Love this as it shows the chaos with youngsters when trying to get a family photo! 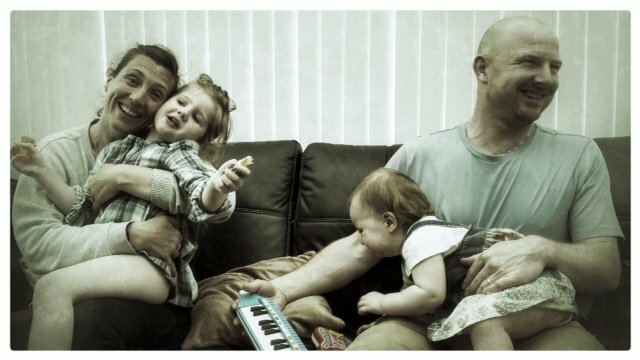 My eldest son and his wife with our two grandchildren - a cute memory as I print my 365 shots off in Photobooks as a visual diary. Sometimes the youngsters just don't want to play at having photos taken do they. Such a natural shot. Lovely! Wonderful shot of them. Love the smiles. A nice candid realistic photo of parenthood! A keeper! Aint that the truth! Great capture though! It just makes you smile!